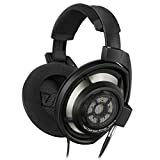 If you plan on buying surround sound headphones, then you should first know that there are 2 main categories available which is the 5.1 and 7.1. The 5.1 surround sound headphones is the one that is made with 6 channels. Those 5 channels are the ones with the full bandwidth channels while the .1 channel is the one with the low-frequency and is dedicated to the effects. The 5.1 is the common format being used in almost all mainstream technologies which includes the SDDS and Dolby Digital. In addition, 5.1 sound is commonly used in the audio component for music production and digital television broadcast. The 7.1 surround sound headphones follows the same format as the 5.1 but the only difference is that it has 7 channels dedicated to full bandwidth instead of 5. With this additional feature, the 7.1 provides a more detailed soundscape than the 5.1. The downside for this category is that not all forms of media are made using the 7.1 technology. This certainly provides a limited user experience and may probably become popular after a long time. This concludes that by having surround sound headphones, you will be enjoying rich detail and complexity to an entertaining experience. Whether customers love watching films, play video games or just simply enjoy listening to music, having these headphones will surely put your entertainment experience to a whole new level. Learning about such technical specs and various features regarding headphones will surely help customers have an approach towards the marketplace in a much informed way. 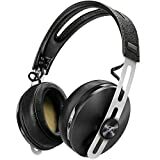 Understanding certain factors such as the 5.1 or 7.1 surround sound as well as the connector technology used on a set of headphones can be very important in the buying process. Just consider this information and you are sure to end up with a great deal for an even greater entertainment investment.